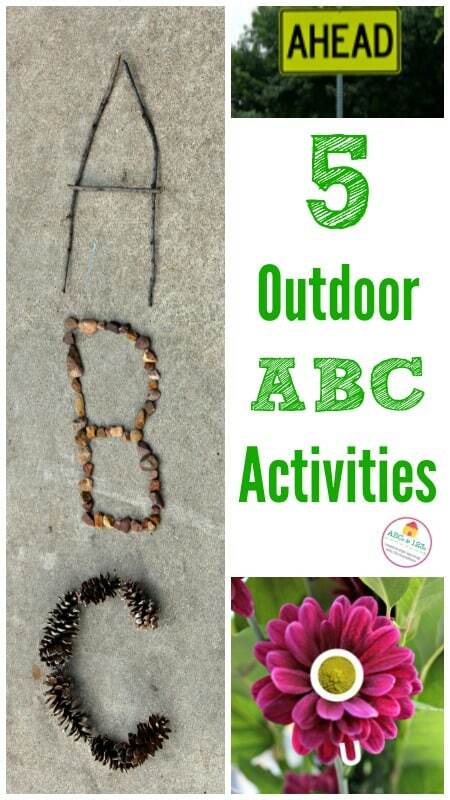 Jacquie from Edventures with kids joins our ABCs and 123s letter and math series today with five great ideas for outdoor ABC activities. We love using nature to inspire learning! Once spring weather sets in, we are more than ready to play, learn and explore using fun outdoor activities. In order to get more time outdoors during the week, we will often take some of our learning with us. This is amazingly easy when it comes to repetitive activities such as practicing your ABCs or sight words (and much more fun according to the kids). Today we’re sharing five fun ways to practice letters and words while enjoying some time outdoors! There are two ways to play ABC I-Spy. The first is by looking for letters located on signs, buildings and other places you might visit. 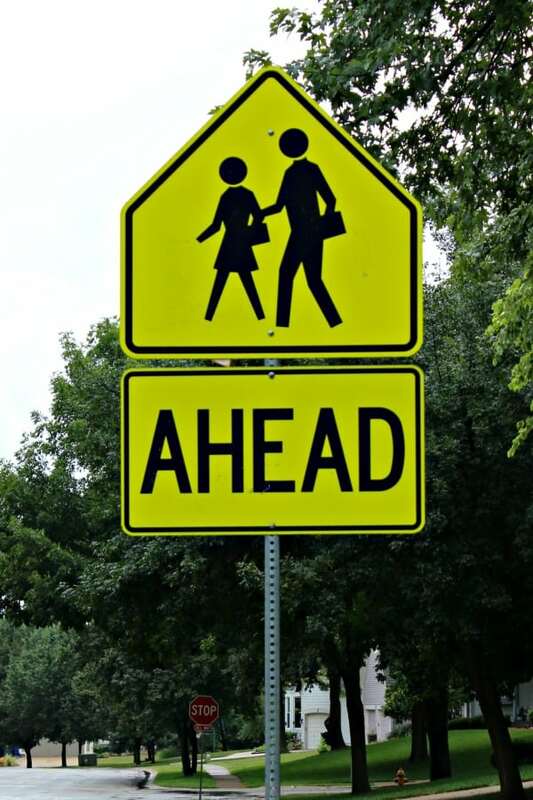 Challenge the kids to find all the letters of the alphabet as you walk to school or the park by looking for each letter in the alphabet in street names and other signs. The second way to play is similar to the traditional I-Spy game but using the first letter of a word. For example, on a visit to the playground, you might look around and say “I spy with my little eye, something that begins with the letter S” – the kids would then need to find objects that begin with the letter ‘S’ such as swing or slide. This can be made easier by also giving kids the sound of the letter in addition to the name of the letter. You can also make the game more challenging by asking “How many items can you find that begin with the letter B?” This will encourage kids to continue to scout out multiple items (bunny, bird, bricks, blue sky) as they practice their letters and sounds. This is one of our favorite ways to practice our ABCs, spelling words and sight words! 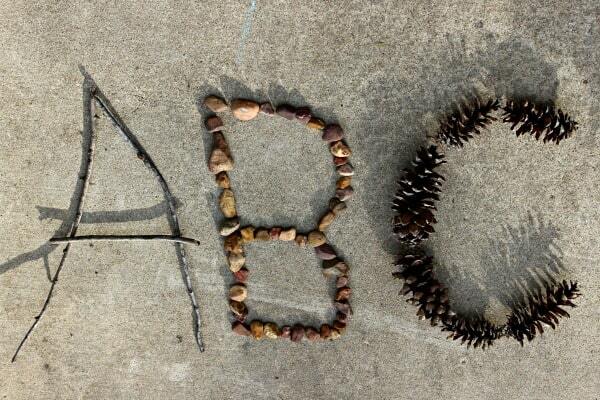 Inspire kids to create letters using items found in nature – sticks, rocks, pinecones, leaves, shells and other small natural manipulatives are perfect for creating both letters and words! We really enjoy this hands-on learning because it’s so sensory rich and leads to many other questions and surprises. Similar to I-Spy, this game encourages children to practice their blended letter sounds such as ‘sh’ and ‘br’. This is for children who have mastered their ABCs are are moving toward sounding out words on their own. The next time you visit a park or go on a hike, search for items that begin with some of these word families or blended sounds. It will help to say the blended sound a few times and then give the kids a word that includes the sound. For example, if you’re looking for items that begin with ‘br’, you would repeat that sound a few times and then say “like the word brown“. It’s amazing what you can find in nature! And the kids always surprise me at how astute they can be when scouting out letter shapes. 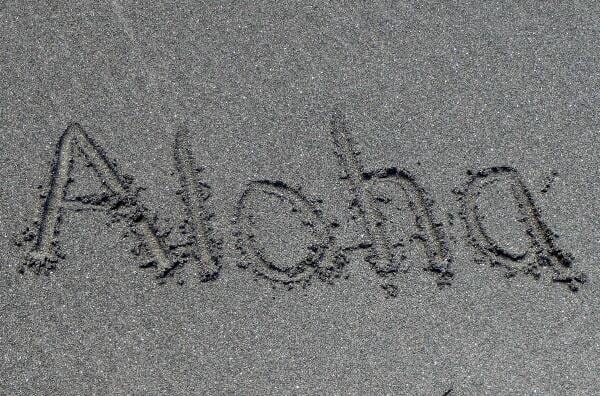 During your next outing, look around for various nature items that are shaped like the letters of the alphabet. Find a leaf that looks like the letter ‘A’ or a stick in the shape of a ‘Y’. 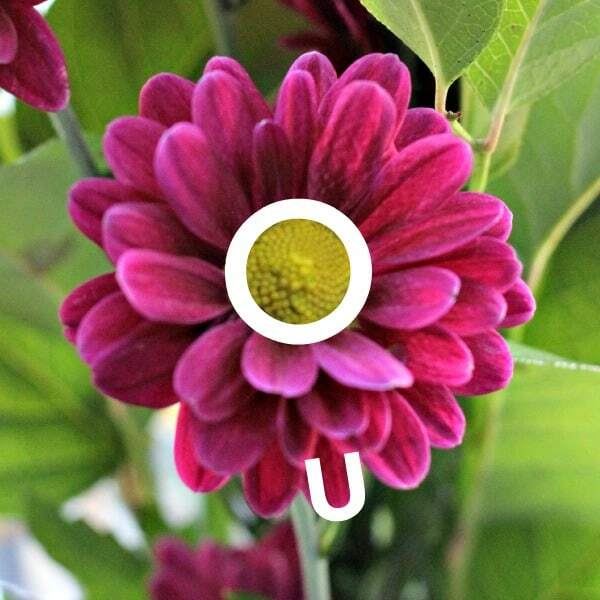 This is a creative activity for kids as children will need to interpret the shapes of nature. We love this activity because you’ll never know which letters you’ll find and we’re always surprised at how many nature items look like letters. Learning to write the ABC’s is just as important as learning to recognize them so it’s always great to find unique ways for kids to practice their ‘penmenship’. How to Turn Your Backyard into a Science Lab — create Marshmallow Constellations, watch a leaf breathe and more than 20 more science experiments you can do in your own backyard! 50 Outdoor Games, Crafts & Nature Activities — enjoy a huge variety of ways to play, create and explore the outdoors! Jacquie is the owner & educator behind Edventures with Kids, an extensive resource for parents & educators who are raising curious kids & lifelong learners. Edventures with Kids provides inspiration & ideas for nature & outdoor exploration, STEM activities, family travel, kids book lists and many more unique ways to learn!